Yesterday, November 4, marked 93 years to the day that the tomb of King Tutankhamen was opened in Egypt, revealing spectacular artifacts and a magnificent mummy of the boy king. The celebration was somewhat marred, at least here in the U.S., by a leading Republican candidate for president, former neurosurgeon Ben Carson, who confirmed a statement he’d made in 1998 — that he believes the Egyptian pyramids were grain silos, not tombs. The collective reaction from archaeologists and historians, who have command of literally centuries’ worth of research into the artifacts and literature of the ancient Egyptians, is… Wait, what now? Just to be clear, no scientists think that aliens built the pyramids. There is a small but vocal contingent of people who believe in pseudoarchaeological explanations, but archaeologists have dismantled those harebrained theories at every possible turn. (See, for example, my piece, “What Archaeologists Really Think about Ancient Aliens, Lost Colonies, and Fingerprints of the Gods.”) So while it may look good for Carson to deny alien involvement in pyramid building, he also attributes them to some dude who may or may not have existed rather than, well, the ancient Egyptians. Ben Carson thinks the pyramids were used to store grain, not buried rulers. 1) pyramids aren't hollow, and 2) ancient Egyptians could write. We know what the pyramids were built for because the ancient Egyptians tell us what they were built for (see, for example, the Ancient Egyptian Pyramid Texts). Denying ancient people the capability of building monumental structures is not new, though, and not confined to Egypt — plenty of people over the years have denied that Native Americans could have built the massive earthwork mounds across the U.S. and that the Maya could have built their pyramids without help from aliens, Europeans, or a higher religious power. Aside from the massive, collective sigh that has gone out among my colleagues’ Facebook FB -0.93% and Twitter TWTR +0.00% feeds over the Carson brouhaha, there have also been links shared to honor the history of the Egyptian people, my favorite of which is this series of color photos of the discovery of the tomb of King Tut in 1922. There’s no denying that humans are — and have always been — very clever at using and creating their environment and culture. So let’s stop pretending more complicated explanations are needed for the creation of ancient monuments. There is a debate emerging on these pages (and elsewhere) as to whether the Democrats are in deep trouble. Vox’s Matt Yglesias thinks they are. Not only, he notes, do Republicans now hold majorities in the US House and the Senate, but the GOP also now has unified control of 25 state legislatures, while Dems control only seven. More significantly, Republicans are using their power. They are going after unions, which have traditionally been a key organizing force for Democrats. And they are enacting stricter voting rules, which tend to disenfranchise those voters most likely to vote for Democrats. Political scientist Phil Klinkner has disagreed, arguing that there is a natural, almost “thermostatic” ebb and flow to partisan fortunes in America. When one party controls the White House, public opinion naturally moves against that party. Put a Republican in the White House, he argues, and voters across the country will readjust to favor Democrats. Who is right? It depends on whether you think American democracy operates primarily by balancing feedback loops (in which partisan electoral victories are always short-lived because they provoke an equal but opposite reaction) or primarily by reinforcing feedback loops (in which electoral victories translate into policy victories that can cement long-term advantages). Almost certainly, it’s a little bit of both. But the timelines on which these loops operate vary. Reinforcing feedback loops are likely to prevail for the immediate future, possibly even for decades. Balancing feedback loops operate over much larger timescales. Or, shorter version: Yglesias is probably right. Democrats likely are in deep trouble for the next few decades, barring any unexpected changes. While party fortunes certainly do ebb and flow from election to election (and, yes, in some opposition to White House control, as per Klinkner and others), these ups and downs are secondary to a larger pattern in American politics. Traditionally, there has always been one dominant and one secondary party — a “sun” party and a “moon” party, as Samuel Lubell once famously labeled it. And this dominance tends to last for a very long time. The below (borrowed) chart tells a straightforward story. Republicans had mostly solid control of Congress for about 70 years following the Civil War. Then Democrats had pretty solid control of Congress for 60 years. Since the mid-1990s, things have been unusually up for grabs. The past two decades have been the most consistently competitive period in American history (which Frances Lee has convincingly argued is a key driver of our particularly nasty bout of partisanship). 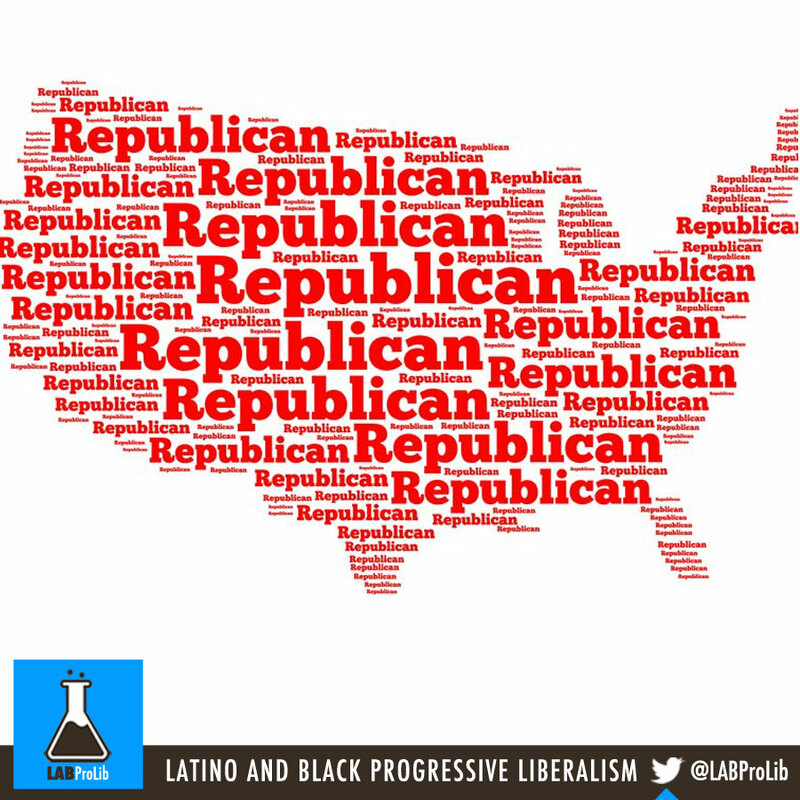 But more and more evidence suggests that Republicans may come out as the long-term winners. As Thomas Schaller has convincingly argued, the GOP increasingly enjoys a structural advantage based on geography — suburban and rural areas, where Republicans do best, are overrepresented in Congress. Republican voters also turn out more reliably because of their stronger social networks. Moreover, as Schaller notes, 39 of 50 US states hold gubernatorial elections in off-year or odd-numbered-year elections, when turnout is lower. John Judis has made some similar arguments about the long-term strength of Republicans. But perhaps more significantly, Republicans are taking advantage of being in power to strengthen future electoral success. Yglesias describes some of these strategies (weakening unions, raising hurdles to voting) in his piece. Jacob Hacker and Paul Pierson have also provided some excellent descriptions of the ways in which Republicans have used their electoral gains to strengthen their core constituencies (mostly the very well-off) while weakening Democrats’ core constituencies (those who are less well-off), increasing socioeconomic inequality in the process. Hacker and Pierson additionally argue that voter ignorance has also helped Republicans, especially the most conservative Republicans. As they point out, there is considerable political science evidence that political messaging does mislead voters, undermining responsiveness. And, as both Schaller and Hacker and Pierson both point out, Republicans have figured out a brilliant smoke-and-mirrors strategy: Since Democrats are the party of big, especially federal, government, political dysfunction in Washington hurts Democrats. Republicans may be the instigators, but most voters don’t play close enough attention to politics to ascribe meaningful blame. They just see that they don’t like big, federal government, and Democrats are the party of big, federal government. Voter information is also at the core of another feedback theory, one that I’m going to spend a bit of time on here because it makes a compelling case for why our future may be more inequality and more Republican dominance, and how those two features are actually closely tied together. Drawing on considerable data across 20 democracies, they identify two “Weberian ideal types” of democracies. The first of these types, exemplified by Scandinavian countries like Sweden and, yes, Denmark, tends to have relative equality in educational opportunity and strong private sector unions. This leads to denser social networks that discuss politics, and as a result, even those who are less well-off tend to be pretty well-informed and engaged politically. Thus, there tends to be a pretty strong relationship between socioeconomic status and ideological self-placement in these countries, with those who are worse off economically mostly identifying on the political left. These countries are also marked by high polarization, largely a product of a very informed electorate (high information and strong ideology tend to go together). The second of these types, exemplified by the United States, has high levels of economic inequality and right-leaning politics. These countries have unequal educational opportunities between rich and poor and weak private sector unions. These two factors produce a public in which the lower end of the socioeconomic spectrum tends have low levels of political engagement and very limited information. As a result, their socioeconomic position tends to be a poorer predictor of ideological self-placement. Those individuals lower on the socioeconomic spectrum are much less likely to place themselves on the political left, as compared with the Scandinavian countries. The mass electorate also tends to be less polarized (at least based on self-reported ideology), which Iversen and Soskice argue is a sign of their low levels of political information. Other countries in this cluster are the UK, Ireland, and Greece. To summarize the picture above: Education and union membership contribute to knowledge, both directly and indirectly, by facilitating networks that stimulate more political discussion. Socioeconomic status also contributes to knowledge directly — wealthier individuals tend to be more well-informed. Political knowledge is the key variable here. The more political knowledge an individual has, Iversen and Soskice argue, the more closely ideology and economic status go together. Put another way, those who are less well-off need unions and public education to get them the political information they need to self-place in line with their economic interests. The rich do not. At the macro level, Iversen and Soskice sketch out a national feedback loop. In countries with strong unions, strong investment in public education, and generally informed citizens, politics tends to be left-leaning but also highly polarized. More left-leaning governments invest more in public education and support strong unions. The cycle reinforces itself. Does this explain what’s going on in the United States? Much in this theory is consistent with recent trends in the United States. Unions have declined. Income inequality has increased. The educational opportunity gap has widened. The political mood has shifted to the right. More and more, the poor have dropped out of politics. Republicans might respond by pushing back against the assertion that working-class Republican voters are making a mistake. After all, perhaps these voters actually understand what a bunch of pointy-headed academics from Harvard and the London School of Economics (where Iversen and Soskice, respectively, teach) never seem to grasp: that free market policies produce more prosperity for everyone, and that too much government regulation is slowing down the economy. Or maybe the struggling working-class voters think Democrats have done little to help them in recent years, so why not vote Republican. And besides, aren’t the Democrats too in thrall to their wealthiest donors to do anything really big to lift the fortunes of those who are worse off? Aren’t Democrats just a bunch of elitists who don’t really care about the poor? By the logic of Iversen and Soskice, this is exactly the uncertainty that makes it hard for low-information voters to determine who actually represents their interests. They hear a bunch of competing arguments over economic policy and government performance. How do they know which to believe? To be fair, surveys do show that Americans tend to be willing to tolerate a certain amount of inequality, especially to preserve free enterprise and individualism. But Americans also significantly underestimate the amount of inequality in society, and would probably be much more unhappy if they accurately estimated it. After taxes and transfers, the US is the most unequal of the advanced industrial democracies. Obviously we are not Denmark. Or Sweden. And it’s not clear how we would become Denmark or Sweden. But this seems to me precisely Iversen and Soskice’s point: These reinforcing feedback loops are quite sticky. Once a country gets into a particular pattern, a whole bunch of factors make it very hard to break out of that trajectory. All these reinforcing loops described above point in the same direction: If Democrats think they can just wait for the public to get tired of Republican rule, they are going to be waiting a long time. Maybe half a century. One of the intriguing, unresolved questions in the Iversen and Soskice paper is the role that electoral systems play. The left-leaning, equalizing Scandinavian countries tend to be multi-party proportional representation systems; the right-leaning, increasingly unequal countries tend have majoritarian systems with two or three parties. There is some evidence that because multi-party systems have several parties competing for voters on the left, politicians in these countries do more to mobilize the undervoting poor. Multi-party systems also tend to have higher voting rates. The US, by contrast, is the only major democracywith just two effective parties, and has one of the lowest voting rates of all democracies. Certainly Democrats have plenty of incentives to mobilize the poor, who do tend to vote Democratic. But because of declining union infrastructure, various forms of disenfranchisement, and the weak social networks of the lower class, organization is difficult and costly. Moreover, the Democrats’ most active donors may not be super eager to see the poor get super engaged in politics. Something significant may happen to upset the self-reinforcing feedback loops that appear to be in play. A major shock, like a serious economic upheaval (say, an automation revolution), or a bitter civil war that fractures the Republican Party, could reorder things. Or Democrats could come up with a new and brilliant strategy. But absent something significant, get ready: American politics is probably going to look like it does right now for a few decades to come. It’s widely known that the University of Southern California boasts one of the world’s greatest film schools, with notable alums among its ranks, including Judd Apatow, Ron Howard, and George Lucas standing out on a list of the literally hundreds of Hollywood big shots who have graced its halls. But much like the Hollywood dream factory that plucks its recruits directly from each graduating class, USC’s alumni list also happens to be pretty damn white, and while there are undoubtedly myriad reasons for this imbalance, it probably has a little to do with the school’s exorbitant private university tuition. 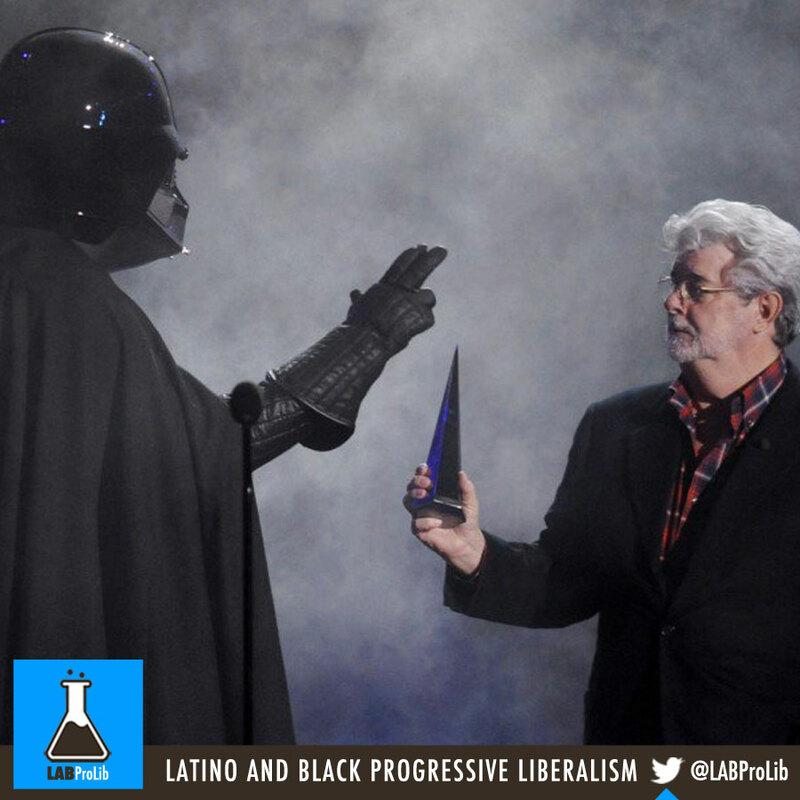 Thankfully, George Lucas is about to change all that. The 94th richest man in the world recently committed to donating $10 million to his alma mater in order to establish The George Lucas Foundation Endowed Student Support Fund for Diversity. Now we can be sure that no one will ever pronounce that name in its entirety, but it does a decent job of getting the idea across: the fund will support scholarships for black and Latino students to pursue studies in film at USC. Starting next year, the scholarships will be divvied up evenly between young men and women for studies at both the graduate and undergraduate level. Now start working on those applications, kids. Puerto Rico’s government is on the verge of running out of money. A messy default is in nobody’s interest, which is why Congress ought to move swiftly to provide the American territory with a way to restructure its huge debt and revive its economy. The Obama administration last week offered the outline of a rescue plan to help the island and the 3.5 million American citizens who live there. The plan would impose new oversight on the island’s finances and expand access to government programs like Medicaid and the earned-income tax credit. Crucially, it asks Congress to change the law so that Puerto Rico’s territorial government and its municipalities can seek bankruptcy protection. Political leaders in Puerto Rico and many financial and legal experts have been saying for months that the territory cannot repay the approximately $72 billion it owes to hedge funds, mutual funds and other investors. Its economy is not growing, and tens of thousands of residents are leaving every year for the mainland to look for work. More than 300,000 have left in the last 10 years. Its public pension plans need a cash infusion of about $44 billion. Puerto Rico has cut spending and raised taxes in the hope of saving itself, but that hasn’t worked, and it won’t work in the foreseeable future given the sorry state of the island’s economy. Bankruptcy seems inevitable. But under federal law, Puerto Rico’s government, its municipalities and its government-owned utilities cannot go to bankruptcy court — hence the administration’s request for a new bankruptcy process for territorial governments and a change in the law to allow Puerto Rican cities and public utilities to seek Chapter 9 protection, much as local governments like Detroit and Orange County, Calif., have done. Many investors who have lent money to Puerto Rico and stand to lose under any debt restructuring are bitterly opposed to the Obama plan. They say Puerto Rico can repay all of its debt if it tightens its belt and privatizes utilities and other government-owned businesses. 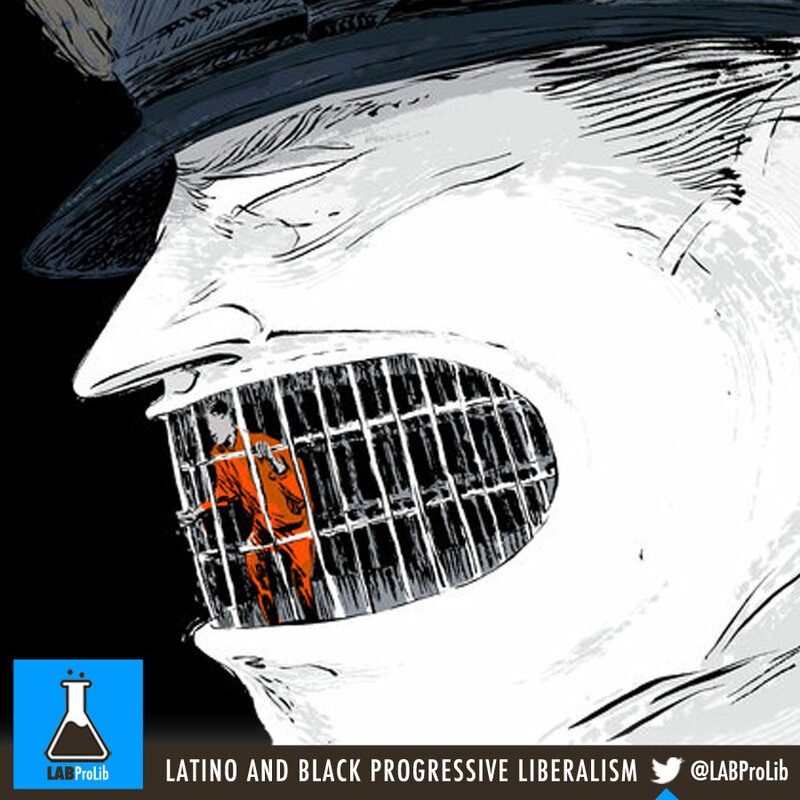 Changing the law now, they argue, is deeply unfair. But the record of what has happened in troubled countries like Greece is clear: Austerity policies have only worsened the crisis. As for the fairness argument, legislators change laws all the time to meet new circumstances. What investors must realize is that an orderly restructuring is a far better alternative than the long and complex legal battles that would inevitably follow a sudden default. American bankruptcy courts have a good track record of resolving complicated debt cases. And if, in addition to reworking the bankruptcy law, Congress also created an oversight board, as the Obama administration recommends, investors could have some confidence that Puerto Rico’s politicians would make needed policy changes. There is no doubt that Puerto Rican leaders have mismanaged the island’s finances and economy. What’s at issue now, though, is not Puerto Rico’s past but its future and that of its inhabitants. If Congress doesn’t like the administration’s ideas, it needs to come up with its own. 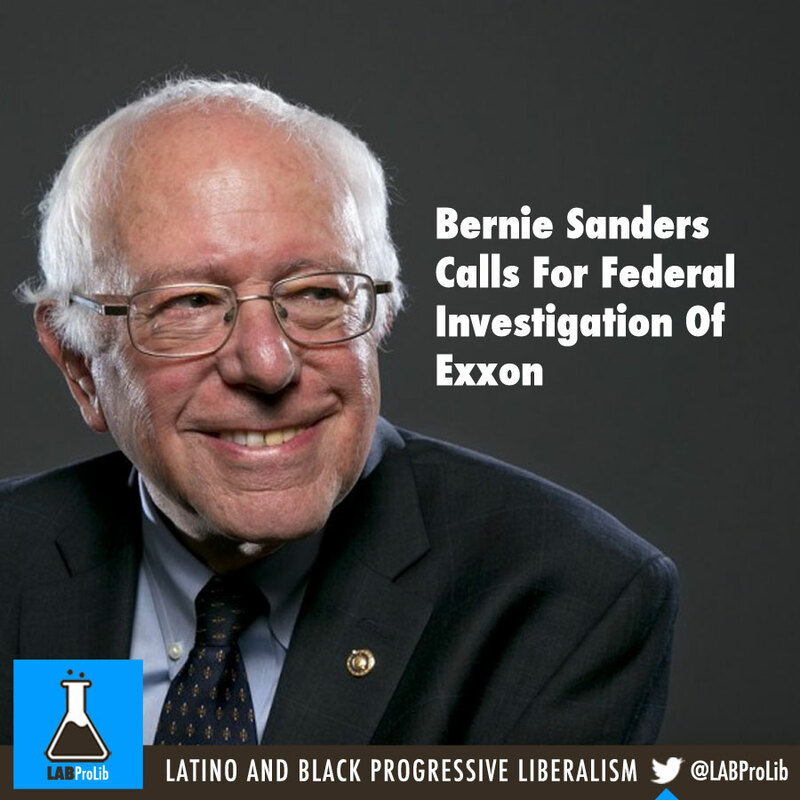 Democratic presidential candidate Sen. Bernie Sanders (I-VT) wants ExxonMobil investigated by the Department of Justice. In a letter to Attorney General Loretta Lynch on Tuesday, Sanders charged the oil giant of engaging in a cover-up to intentionally mislead the public about the reality of human-caused climate change, and by extension the risks of its carbon-intensive product. The information Sanders cited was a recent investigation by Inside Climate News, which found that the ExxonMobil conducted research as far back as 1977 affirming that climate change is caused by carbon emissions from fossil fuels. At the same time, the oil giant gave millions of dollars to politicians and organizations that promote climate science denial, and spent millions more lobbying to prevent regulations to limit carbon emissions. Sanders, like many, compared the allegations against ExxonMobil to the DOJ’s massive and successful lawsuit against the tobacco industry. That action found that a number of big tobacco companies engaged in racketeering by conspiring to hide the harmful impacts of smoking from the public. 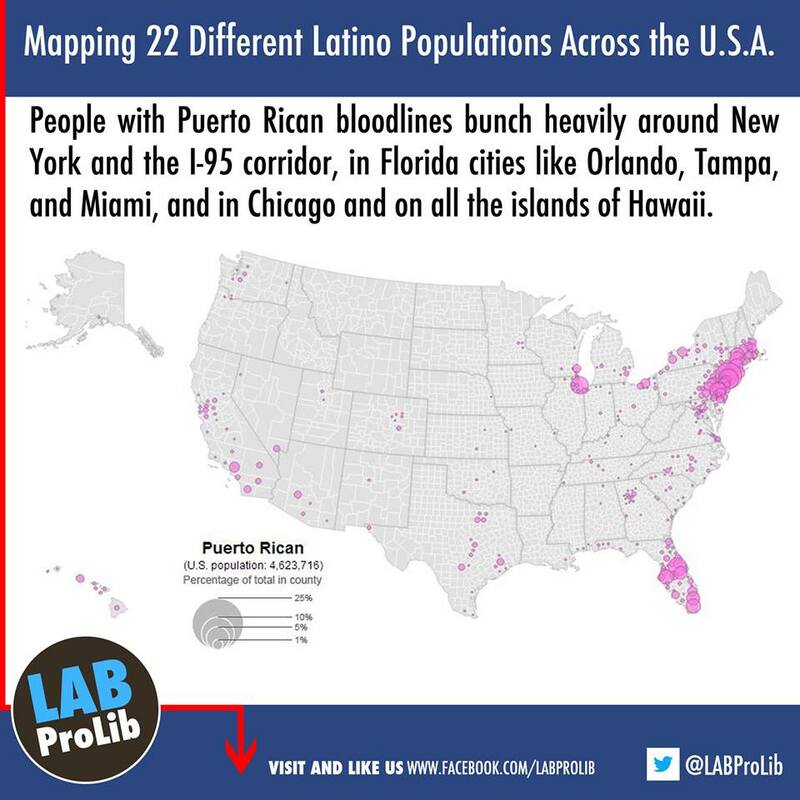 Mapping 22 Different Latino Populations Across the U.S.A.
Where do America’s Latino and Hispanic populations live? Let’s start with where they’re not living: in Montana, Wyoming, the Dakotas, and a whopping chunk of the Midwest that probably hears a sí as often as the cry of an Amazonian toucan. That’s the picture painted by this absorbing visualization from the U.S. Census, showing where people with ties to south-of-the-border countries reside in the United States. Using people’s self-reported “specific origins” from the 2010 census, the nation’s top head-counters have assembled population maps for 22 ethnic groups from Mexico, the Caribbean, and Central and South America. If you want to chat with someone of Mexican descent, you’d be wise to head to Los Angeles and multiple cities in Texas, for instance. The main population center for Cubans is Miami, Puerto Ricans mass around New York City and the East Coast, and Bolivians cluster in Washington, D.C.
Folks of Mexican descent tend to live in Los Angeles and throughout Southern California, around Chicago and Phoenix, and in western Texas. Smaller populations have made homes in Denver, New York City, Seattle, and elsewhere. People with Puerto Rican bloodlines bunch heavily around New York and the I-95 corridor, in Florida cities like Orlando, Tampa, and Miami, and in Chicago and on all the islands of Hawaii. The county’s Cubans are exactly where you’d expect them to be, in southern Florida. There’s a big Little Guatemala in Los Angeles, and lesser ones around the San Francisco Bay, Houston, Chicago, New York, Miami, and Washington, D.C.
Ecuador has outposts in all the usual Latino population centers, with outliers in Atlanta, Charlotte, Dallas/Fort Worth, Las Vegas, and Minneapolis (which might explain why local Ecuadorean eatery Chimborazo has an amazing 96 percent positive rating on Urban Spoon). The Census Bureau has also mapped the populations of “other Hispanic or Latino,” such as Spaniards, who are all over the place, including New Mexico, the mountains of Colorado and Portland, Oregon. The invasion of Puerto Rico during the Spanish-Cuban-American War bound the island within a U.S. political-economic orbit and promoted in turn the continental emigration of countless workers to American cities and possessions. U.S. occupation accelerated a foreign-controlled capitalist agrarian system. It ushered in decades of neglect and chronic underemployment connected with a metropolis-owned and protected sugar plantation monopoly. Virtual eradication of coffee, tobacco and other agrarian sectors became the norm. Almost immediately, emigration loomed large as an escape valve for an increased population, viewed by U.S. government officials as excess and, therefore, fodder for relocation as a cheap source of labor. Recruitment of contract laborers by Caribbean plantation owners had drawn some Puerto Rican workers to the Dominican Republic, Cuba, Venezuela and Ecuador in the waning years of the nineteenth century, but this worker exodus paled in comparison to what transpired in the twentieth century. Charles Herbert Allen (April 15, 1848 – April 20, 1934) was an American politician and businessman. After serving in state and federal elected positions, he was appointed as the first United States-appointed civilian governor of Puerto Rico when the U.S. acquired it after the Spanish–American War. He previously had served as Assistant Secretary of the Navy under President William McKinley. Within the first decade of American control, Governor Charles Allen lent full support to emigration as he surmised, “… the emigration of these people can do no harm to the island. Out of a population of nearly a million, not more than 5,000 or 6,000 have emigrated—scarcely one half of one percent. They will never be missed in making up the census returns of the next decade. Porto Rico has plenty of laborers and poor people generally“. Recruitment centers opened in the coastal cities of San Juan, Ponce, Aguadilla, Arecibo, Mayaguez and in the western mountain areas of Adjuntas. Between 1900 and 1901 eleven expeditions consisting of over 5,000 men, women and children were recruited by the Hawaiian Sugar Planters’ Association to work alongside Japanese, Chinese, Filipinos, Portuguese and Italians in the pineapple and sugar fields of those Pacific islands. Contractual accords stipulated incentives—credit for transportation expenses, the availability of public education, opportunities to worship in Catholic Churches, decent wages and standard living accommodations. However, contractual abuses abounded. The voyage to the Hawaiian Islands proved cumbersome, inflicting undue hardship and distress on the contracted workers. The trip originated in one of several ports, including the Capital City of San Juan, Ponce or Mayaguez, the island’s second and third largest cities. From there, the ships steamed to New Orleans, where the workers boarded trains bound for Los Angeles or San Francisco. The last leg of the journey was from San Francisco to Hawaii, where the workers’ contingents were parceled out in small crafts to plantations on several of the islands. Families were particularly attractive to recruiters as they were known to provide stability and greater length of service. Women, therefore, were as important for a successful recruitment effort as were the men. Salary differentials as stipulated in the labor contracts placed women and girls at a distinct disadvantage, but this was not an uncommon situation, as female labor had been traditionally undervalued in Puerto Rico. Women were conditioned to work for considerably lower wages. Their primary function, after all, was perceived in conventional terms: the reproduction of children, integration of the family unit, transmission of cultural values and traditions and, by extension, reproduction of the workforce. Nevertheless, the contracted workforce found great distinctions between the agricultural system as practiced in Hawaii and what they were used to in Puerto Rico. Many of the workers came from the island’s depressed coffee sector, characterized by paternalistic relations between landowner and worker. In Hawaii, the Borinkis, as they were called, were used to temper the organizing efforts of the Japanese. Puerto Ricans were segregated in work camps surrounded by groups who spoke different languages, conducted different lifestyles, utilized different modes of transacting trade and worshipped different gods. As early as 1903, 539 Puerto Rican children were enrolled in Hawaiian schools. Within three years this figure rose to 650, and there are indications that Puerto Rican women were already employed as teachers as early as 1924. Puerto Ricans constituted 2.2 percent of the Hawaiian population in 1923, just over 5,000 individuals. Despite increased outmarriage, dispersal and isolation of Puerto Rican workers throughout the islands and limited involvement with the homeland, 9,551 individuals claimed a Puerto Rican identity in the 1950 census. Unrest among the worker contingents surfaced almost immediately as reports describing the migrants’ horrendous ordeals appeared in the San Francisco Chronicle, The New York Times and newspapers in Puerto Rico.Desertion was not uncommon, and tales of individuals who refused to board Hawaii-bound vessels account for the emergence of the earliest Puerto Rican settlements in California. Men and women deposited on San Francisco wharves ultimately secured employment in Alameda and Santa Clara counties and went on to form the earliest Puerto Rican organizations in California. The Puerto Rican Club of San Francisco (1911) and the Club Puertorriqueño de California(1923) promoted progressive agendas pledged to advancement and maintenance of the island’s cultural heritage and values. Less than a hundred Puerto Rican workers were repatriated, but others remained in Hawaii and, in time, managed to make productive lives for themselves. Some became landowners, homesteading on several of the islands. Such possessions remain in the hands of these early families to the present. As would be the patterns in other stateside colonias, organizations soon emerged to structure and coalesce the small communities. Among the earliest in Hawaii, the Puerto Rican Welfare Association appeared in the 1920s, followed in 1931 by the Civic Club. 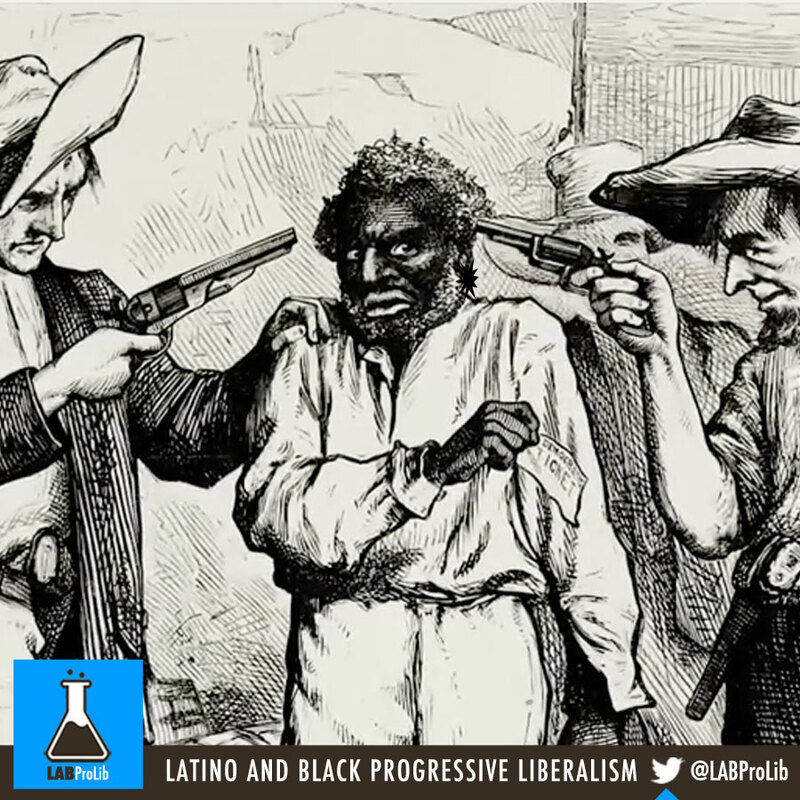 The latter sought to change the situation of Puerto Ricans. Their charter pledged to promote the general welfare and prosperity of Puerto Ricans in Hawaii and to “improve by any and all lawful and honorable means their status and condition in order to attain highest order of American citizenship.” The need to promote themselves as the American citizens that they were arose on numerous occasions. 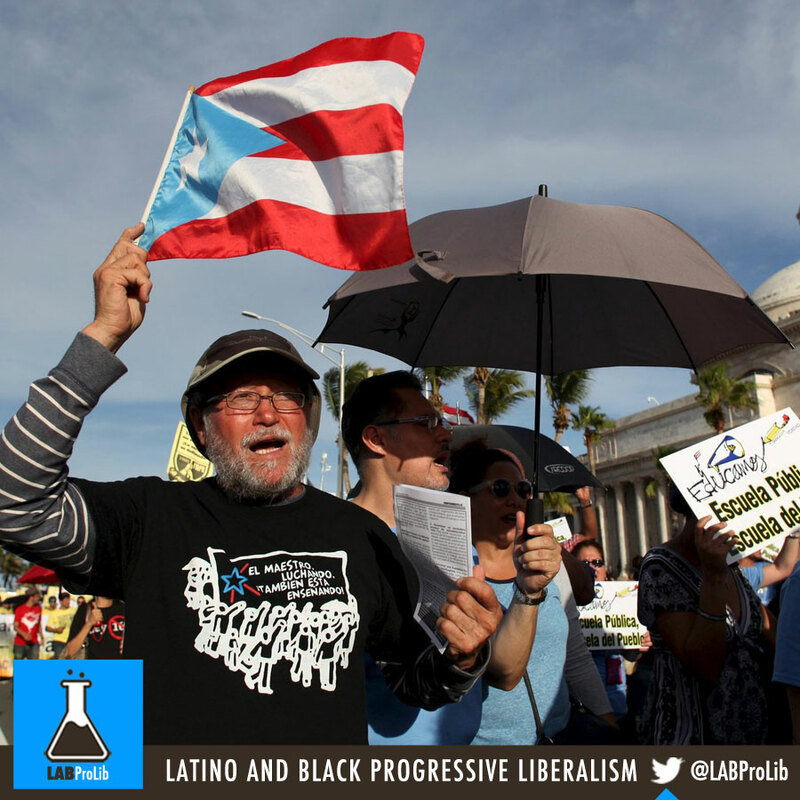 Historian Norma Carr cites several attempts to deny Puerto Ricans the right to vote. Debates over the rights of citizenship, granted to all Puerto Ricans under the Jones Act of 1917, seemed to indicate the group’s intention to stay in Hawaii. Hawaii’s Puerto Ricans had all but created their own culture by the decades of the 50s and 60s, fusing elements of both their Atlantic island heritage and their Pacific island home. Although many would continue to identify with their country of origin, they spoke English, knew little about Puerto Rico, “poured Shoyo on their bacalao and sang Hawaii Pono’i” as their native anthem. 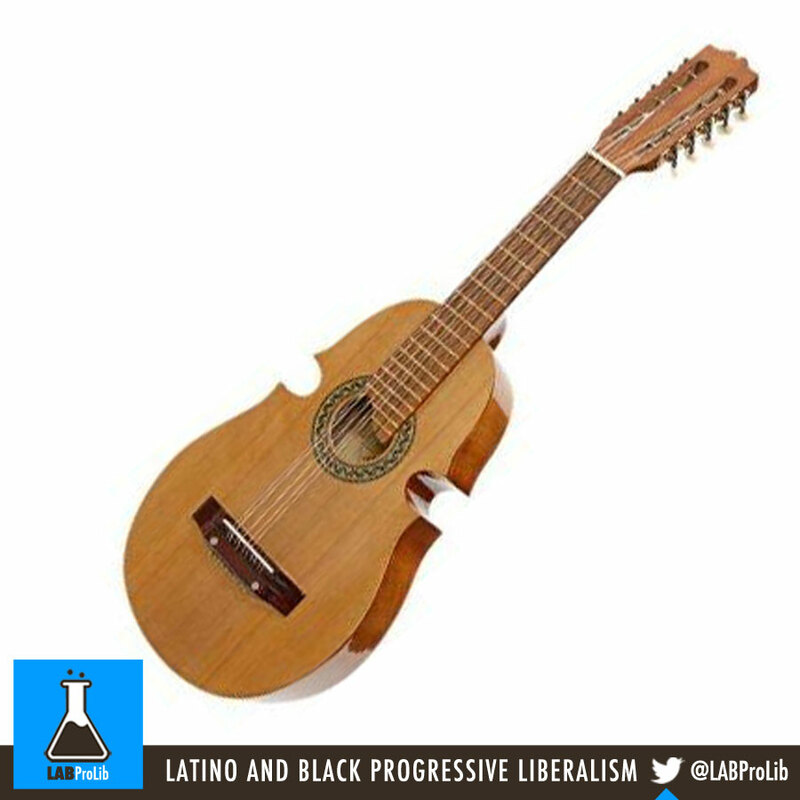 Puerto Rican-Hawaiian musicians played the ukulele instead of the ancestral quatro and, in essence, became keiki hanau o Ka’aina— children of the land. Nevertheless, a significant Caribbean presence did reemerge with the stationing of Puerto Rican military personnel in Hawaiian bases, enriching and replenishing the contemporary community. As Puerto Rican contract workers emigrated to various countries and American states between 1900 and 1924, they set into motion a continuum of emigration and permutations that persist to the present. Justified by the premise of overpopulation, emigration was promoted as a temporary but valuable measure. Puerto Rican men and women were openly encouraged to leave their homeland, not only for Hawaii but to set the rails in Ecuador, harvest henequen in Yucatan, work in agriculture in Colombia, as industrial workers in St. Louis, Missouri, and pick cotton and fruit in Arizona and New Mexico. Viewed from another perspective, the ten women from “good families” contracted to work in the American Manufacturing Company in Brooklyn, New York, in 1920, the earliest documented couple to arrive in Meriden for work in a Connecticut ball bearing factory in 1925, and the 20 or 30 families recruited to live and work for the Arizona Cotton Growers’ Association in 1926 set the stage for a procession of migrants that would intensify with the coming years. The dynamics of migration were inextricably linked to economic considerations and fluctuated according to market cycles. During the First World War, a shortage of semiskilled and unskilled labor in the United States stimulated the migration of 13,000 contract laborers for employment in war-related industries. American citizenship facilitated the transfer of thousands of Puerto Ricans to mainland communities, as their relocation encompassed nothing more than was required of individuals crossing state lines. Two other factors encouraged Puerto Rican migration: the decline in the U.S. labor force due to immigration restrictions accruing from the National Origins Act in 1924 and conscription into the U.S. military. Overall, some 83,000 individuals saw action in the two World Wars, and many would use their military experience as a springboard for living in the continental United States. Between 1909 and 1916, some 7,394 individuals emigrated from Puerto Rico to the United States, but in 1917 that figure rose to 10,812 migrants. 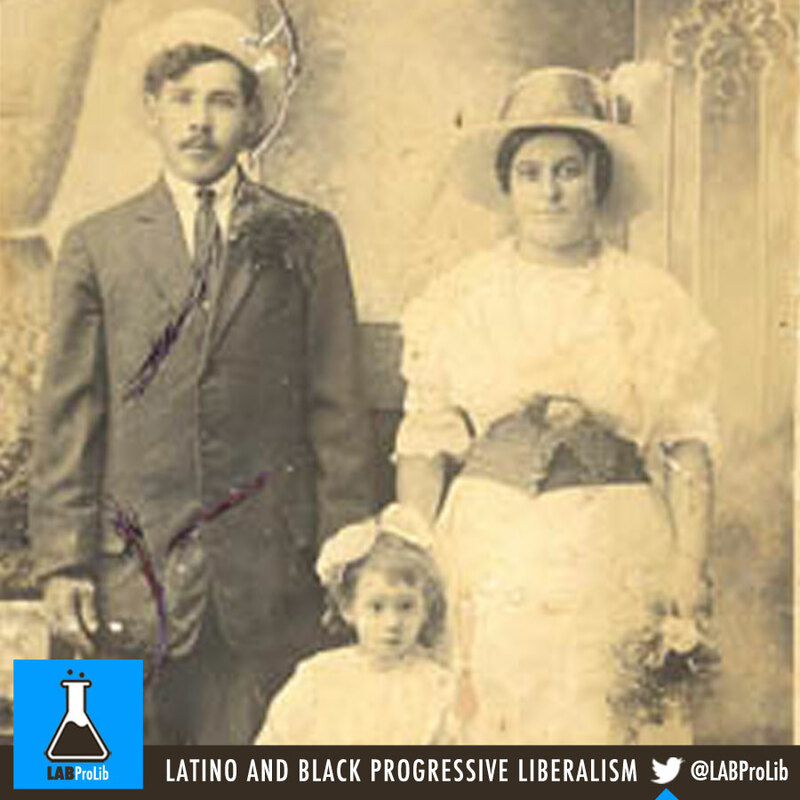 An estimated 52,000 Puerto Ricans resided in the United States between 1920 and 1930. The prosperous period following the Great War drew Puerto Rican migrants to employment in the lowest paying sectors of production—manufacturing and light factory work, hotel and restaurants, cigar making, domestic service and laundries. However, between the period of the Great Depression and the end of the Second World War, there was a marked decrease in the annual average net migration. By the decade of the 30s, Puerto Ricans already made up over 40 percent of the New York City’s Latino population—61,463 out of a total population of 134,000. For the next 30 years, this city, so important in the earlier struggles for independence, would continue to attract the major portion of the migration.